Are the NSW Crime Commission powers at odds with the notion of Fairness? charged may be compulsorily examined at the NSW Crime Commission, compelling them to answer questions regardless of whether those answers may or will incriminate them. The derivative use of those answers may affect the right to a fair trial and cause substantial injustice. The position is different for a person who is already charged with a criminal offence, thanks to a recent decision of the High Court upholding the right to silence and preserving the right to a fair trial. The NSW position seems incongruous with the notion of a fair trial, the right to silence, the right against self incrimination and the meaning of justice. A person making admissions would have significant difficulties in later attempting to defend themselves at trial. A hypothetical example is provided below. 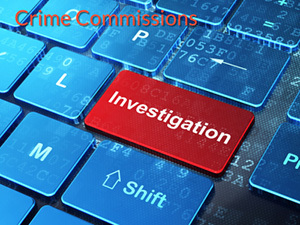 What is involved in a NSW Crime Commission Examination? John Smith was suspected of being involved in a serious offence. Acting on this suspicion, the NSW Crime Commission serves a summons under section 16 of the New South Wales Crime Commission Act 1985 (NSW) requiring his attendance at a compulsory examination. The purpose of the examination is to extract an admission as conventional policing methods have failed to solve the crime. When can the NSW Crime Commission make a non publication order about evidence given at an Examination? Section 13(9) of the New South Wales Crime Commission Act gives the Crime Commission the power to prohibit the publication of any answers procured during an examination if to do otherwise would prejudice the fair trial of a person who has been or may be charged with an offence. Now assume the Commissioner made a direction under section 13(9) and ordered that John’s answers should not be published except in a manner and to such persons as the Crime Commission may specify. This direction is very wide and generic. We can seek a specific direction from the Crime Commission prohibiting the publication of any answers to the Police – but suppose (as if often the case) the Commissioner declines. Without proper safeguards in place, the Act seems to confer an arbitrary power on the Crime Commission that can have a profound effect on a person’s right to silence and a right against self-incrimination. As the examination continues, John refuses to answer questions on the grounds that his answers would prejudice his right to a fair trial if he is later charged. That prejudice derives from the fact that an accused person cannot be compelled to assist the Crown in proving his guilt. Further suppose that the Commission disagrees and compels John to answer all questions. How does the NSW Crime Commission Act deal with the right against Self-Incrimination? This scenario raises very serious questions about the compulsory examination of a person whose answers may give rise to criminal charges. Is a person who may be charged with an offence and who has been summoned to attend a compulsory examination nonetheless required to answer questions material to that charge? If the answer is yes, one can clearly see that the right against self-incrimination would be severely curtailed. The Commissioner may well publish every answer procured during a compulsory examination and equip the Police with incriminating material – so much for the right to silence. The investigating police, on secondment to the Crime Commission, are typically listening to the compulsory examination in an ante-room. They are serving police officers and do not magically forget what they have heard when their secondment ends. What then is the benefit of an Order prohibiting the publication of the answers? How can a person who makes admissions against self interest and against their will later run a defence to a criminal trial? Is the reasonable excuse defence available for refusing to answer questions at the NSW Crime Commission? The NSW Court of Appeal has previously held that the mere fact that answering questions would tend to incriminate a person does not provide a reasonable excuse to justify a refusal to answer. In other words, if you have not yet been charged, you must answer the questions. Failure to answer questions may amount to contempt. The Court has held that the questions must be answered first before the Crime Commission can determine whether it is a reasonable excuse to subject the answer to a non-disclosure direction. 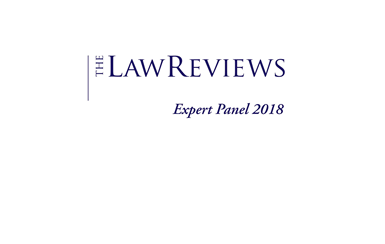 The Court further held that that such persons already receive adequate protection under section 18B(2) New South Wales Crime Commission Act, which prevents answers produced in an examination from being used against them in criminal proceedings. Here, the Court would ultimately compel John to answer the questions. What are some of the implications of the NSW Crime Commission’s wide Powers? This outcome has huge ramifications for anyone who still believes that fairness in anticipated criminal proceedings carries with it the inherent right to silence. The judgment sanctions a significant departure from the accusatorial nature of the criminal justice system. Persons appearing before the NSW Crime Commission will be compelled to answer questions material to offences for which they may be charged, and the Commission will potentially be at liberty to disseminate their evidence to the police and prosecution. In other words, despite being told that the answers will not be used against you – that may not remain the case once the answers are given. This scenario highlights the potential interference of a compulsory examination with a person’s civil liberties. A person ought not to be compelled to establish their own guilt in a compulsory examination. The suggestion that a person must answer the question first, and then have that answer subject to non-disclosure misconceives the point – damage would have already been done. The point is not to rectify the damage, but to prevent it from occurring in the first place. What has the High Court of Australia said about the Crime Commission’s wide Powers? In light of the X7 case in the High Court of Australia (X7 v Australian Crime Commission  HCA 29), situations such as the above would potentially be remedied. However, in X7, the accused had already been charged with the relevant criminal offences, whereas in the present case the suspect had not been charged. As it stands, there is ample opportunity for police to delay charging a person with a criminal offence irrespective of the actual evidence they hold concerning a suspect, with a view to extracting an admission at a compulsory examination before the Crime Commission, and subsequently charging the person with the offence to which the admission has been made. The result would be that the accused could not defend the allegation. A person who is a suspect for which there may be some evidence to suggest involvement, for example. circumstantial evidence, but insufficient evidence to found a conviction, might then be called to the Crime Commission for interrogation to provide the necessary link to justify prosecution. Compulsory examinations are frequently used by the NSW Crime Commission to elicit information about a person’s property and assets. Once the Crime Commission has obtained all of the evidence that it needs, it will then seek asset forfeiture Orders under section 22 Criminal Assets Recovery Act 1990. How does the NSW Crime Commission use compulsory examinations to retrain and confiscate Assets? One must not forget the potential self-interest of the Crime Commission in extracting confessions. Although a conviction is not required for the Crime Commission to take action under the Criminal Assets Recovery Act by way of asset confiscation, asset forfeiture, property seizure, the fact of an admission makes it much simpler for the Crime Commission to succeed with such action. There have been examples of the Crime Commission seeking to examine suspects in relation to the confiscation of assets under the Criminal Assets Recovery Act, but straying into questioning concerning the criminal allegation that gave rise in the first place to the restraining order being sought. If assets are already the subject of a restraining order, surely there is no need to proceed to examination proceedings until the criminal proceedings are finalized. What is the rush? The assets are seized. The only point of examination could surely be to secure evidence to be used against the suspect in criminal proceedings or to facilitate an order for asset forfeiture.